Every January, we dig our New Year’s resolutions out of the relic box – and exercising more and eating healthy are always top of the list. 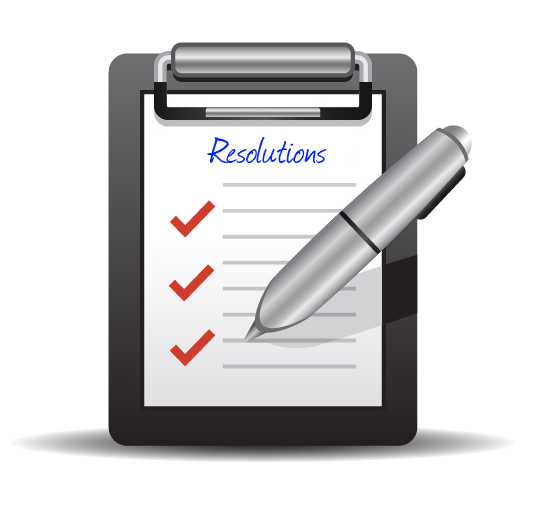 However, what can project managers resolve to do in 2014? A healthier lifestyle will do no harm to any of us, but the beginning of a new year can also be a great opportunity to do things better than last year. The turn of the year can be a chance to put the projects in your department or in the entire company to a test: Does the company do the right projects? Are these projects important for the creation of value in the company? Could it be that the existing projects absorb too much manpower that could be used better in other projects? Some project managers complain that they no longer see the wood for the trees: Too many deadlines, activities, documents and e-mails give them a hard time. It’s about time to provide better structures. Define key figures in the fields of time planning, budgeting and resource allocation, which you can control regularly. Regular reporting can help, too, if you all team members define, which information they need to be always up to date. Good project communication often is a question of discipline. Therefore, communication discipline is what a project manager should commit the team to in the new year. Often, it is the small things that help team members to stay informed, but not overloaded with information. It might be helpful to really use project management tools to reduce the effort of meetings, phone calls and e-mails. Simple rules such as “One e-mail – one topic” or “Assignment of tasks only with clear competences” can help to unravel the communication chaos. Some project managers have to admit that their project plans didn’t work out in the past, because budget and time planning were only geared towards a best case scenario. Now is a good time to look at the “lessons learned” e.g., the conclusions drawn from completed projects. If it is not usual yet in your company to document the “lessons learned” in a consistent way, now is a great time to start. Project documentation is an unloved diligent, but routine piece of work. Therefore, it might be a good new year’s resolution to reserve time and resources for it in current and future projects. When day-to-day project work has a tight grip on us again, words of praise and appreciation often fall short. You will, however, need a motivated and committed project team to achieve your goals in 2014. Therefore, praise and appreciation should be part of the agenda more often if it is appropriate. A new year can also be a great opportunity to resolve disagreements within the team and to bring team members together for a clarifying discussion who had difficulties with each other in the past. New Year’s resolutions in project management - InLoox • Copyright 1999-2019 © InLoox, Inc. All rights reserved.